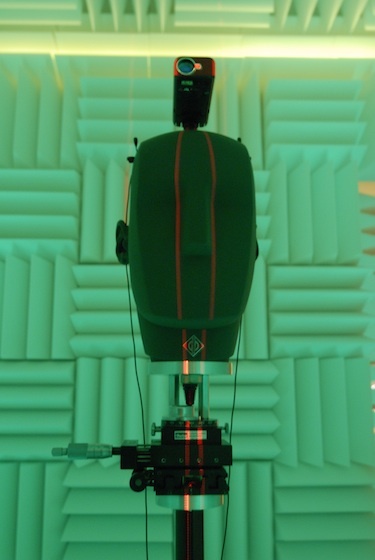 The 3D3A Lab is equipped with a highly reconfigurable anechoic chamber that was built in-house and that has adjustable/removable walls which can be moved on casters. It measures w: 3.0 m, l: 3.5 m and h: 2.2 m. The walls, floor and cieling are covered with 1 foot x 1 foot melamine square wedges. The wedges are 8 inches deep and give the chamber a cutoff frequency of 425 Hz. The chamber is lit with strings of green diode lights that give it a pleasant ambiance. 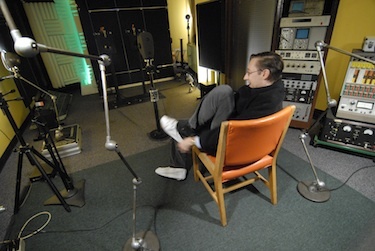 The lighting and the fact that the chamber is not soundproof, make it a pleasant environment for human test subjects. 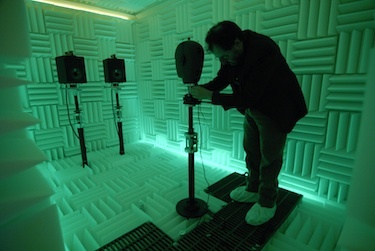 The 3D3A Lab's Listening Room was designed to be similar to a typical home or studio environment. 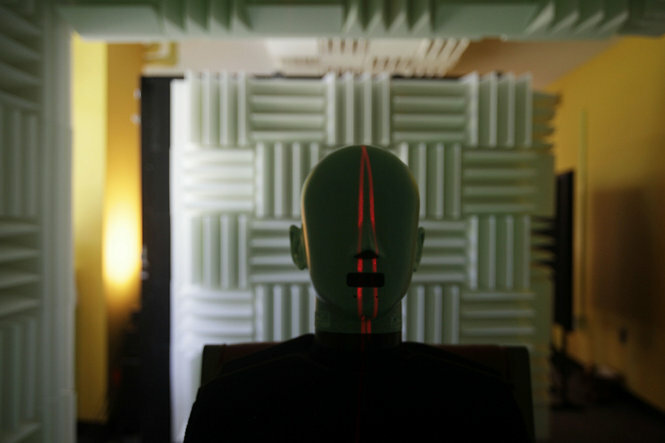 The level of sound reflection can be controlled by repositioning absorptive fiberglass panels (RealTraps RFZ Panels). There is a wide selection of loudspeakers ranging from passive concentric to electrostatic loudspeakers and powered subwoofers. 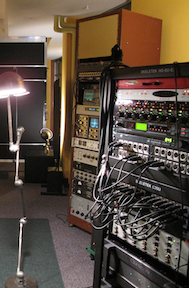 A survey of the directivity of loudspeakers in use at the 3D3A Lab can be found here.